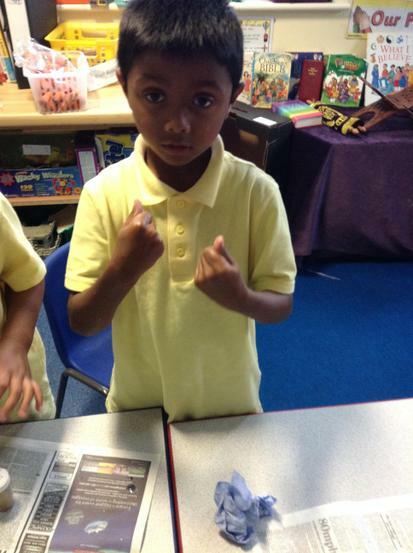 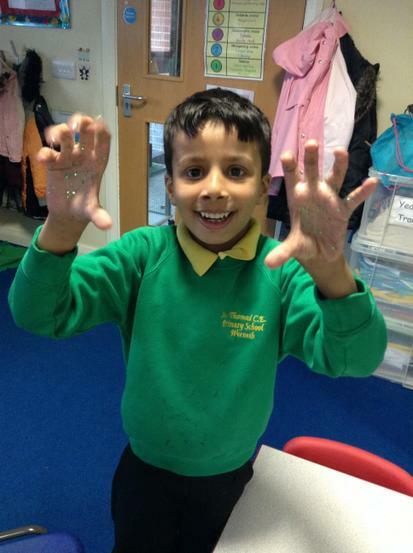 We tested different forces on materials to see if they could twist, bend, stretch or squash. 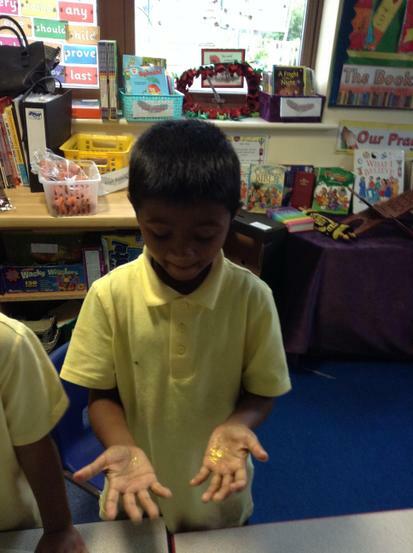 Our potato experiment! 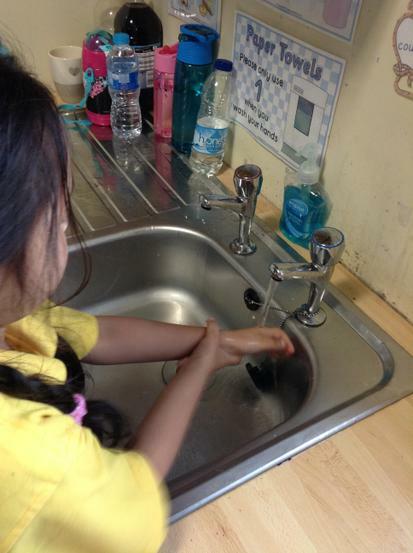 The children tested how many germs were on a potato that we all touched with our hands, in a puddle and scrubbed on the floor.After a week of observing, we found out that there was more germs on our hands than on the floor! 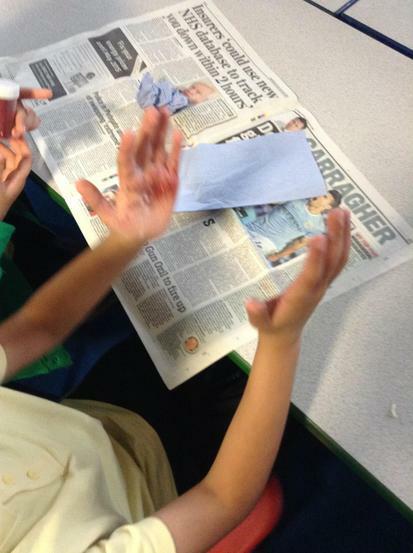 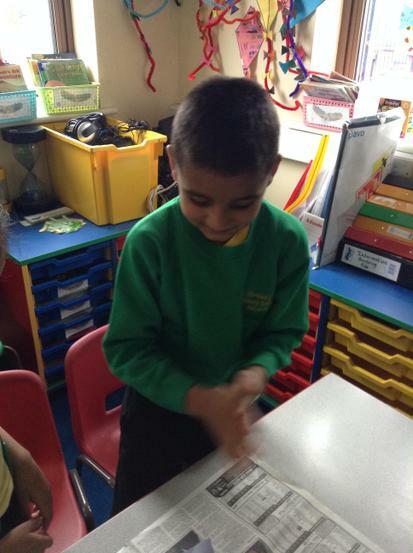 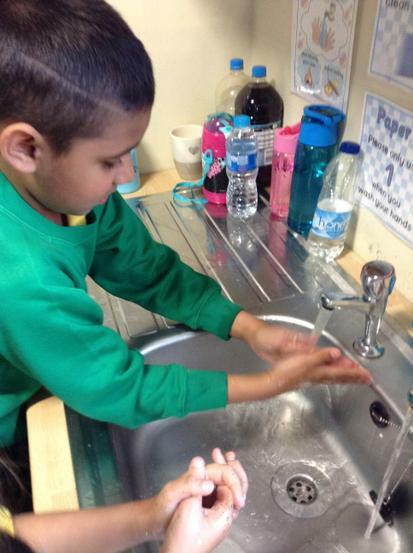 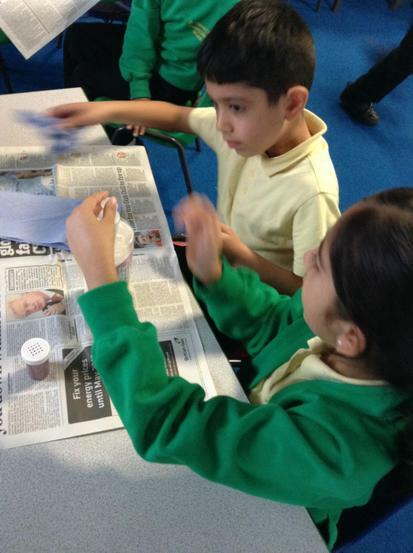 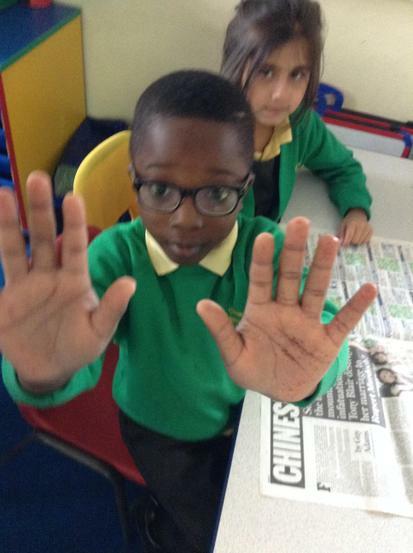 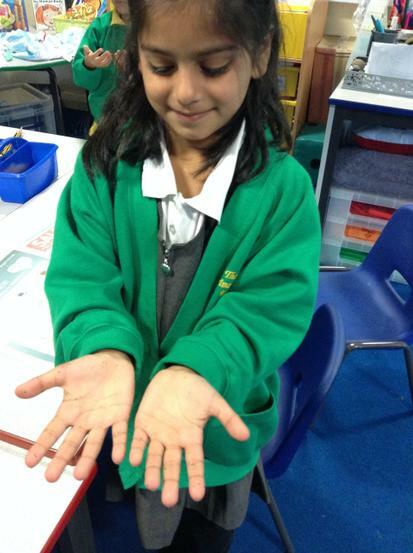 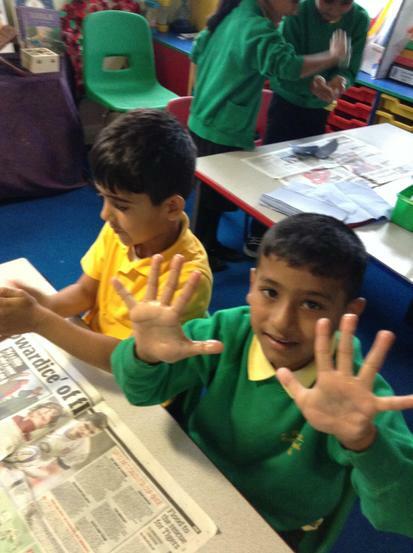 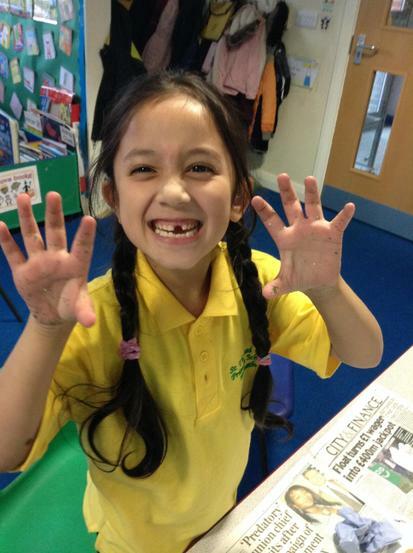 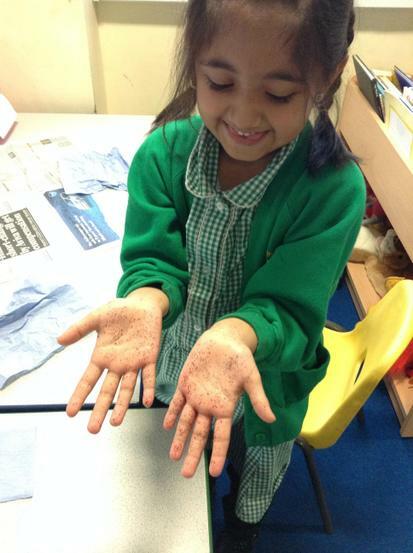 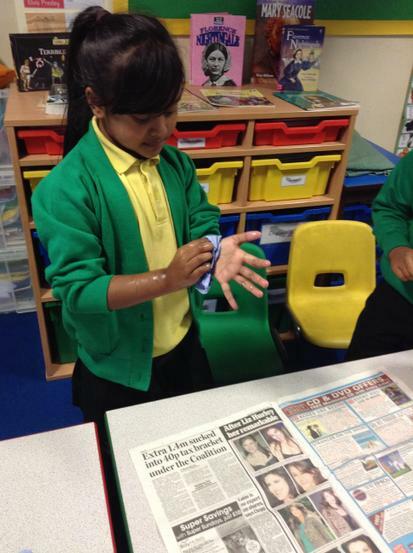 We have been learning about hygiene and how important it is to wash our hands. 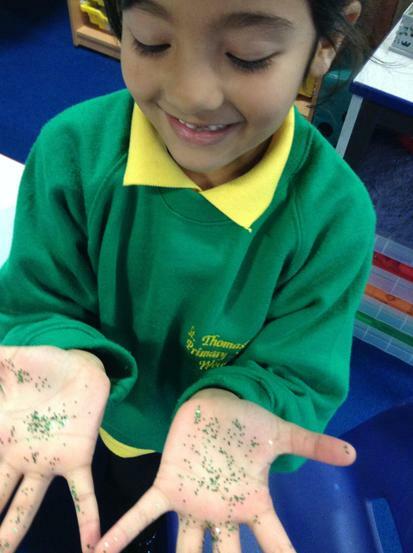 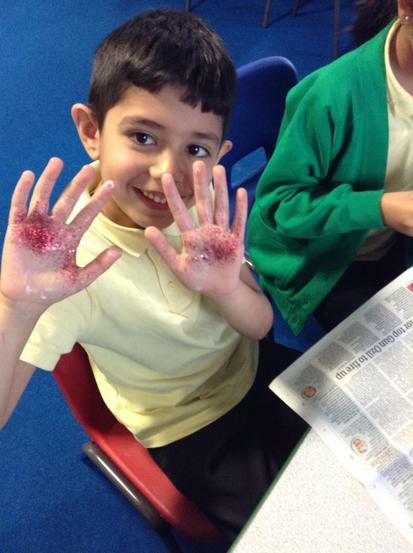 We used glitter to represent the germs and we tried as best as we could to wash our hands properly to remove all of the germs!